T-Mobile is pushing forward with its ‘Uncarrier’ strategy, announcing a new plan called “Data Stash” that will allow customers to roll over their unused data each month for up to a year. 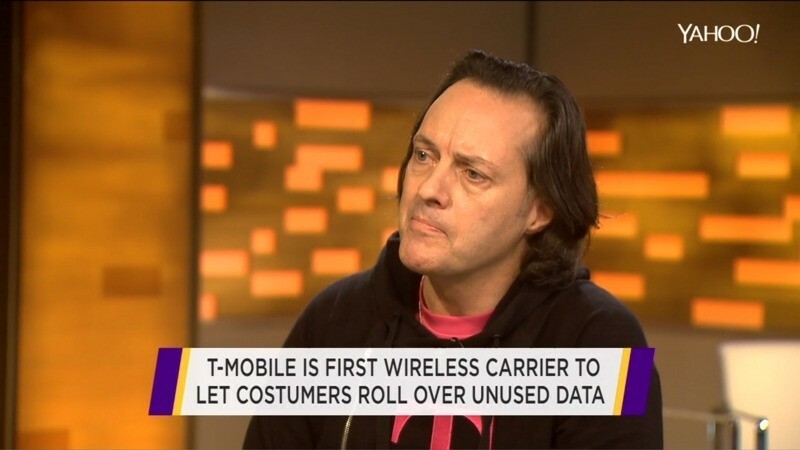 CEO John Legere noted this is one of the most frequent request from customers and it will go into effect January 1st, 2015. Any data that goes unused from your monthly allowance will be rounded up to the nearest megabyte and banked into a user’s stash. Then, if on a subsequent billing period you run out of data for the month, your stash of carried-over data kicks in instead of your connection speeds being throttled down to 3G. It’s pretty much the same principle as voice rollovers. T-Mobile says there are no limits on the amount of data you can save up, but you can only save it for up to a year. That is, any data you stash in March of 2015 will need to be used up before March 2016 or you’ll lose it -- seems reasonable enough. The other caveat is that Data Stash will only be available to customers on a Simple Choice Plan with 3 GB or more of data for their smartphones, or 1 GB or more of data for their tablets. Those that qualify will get 10GB of LTE data for free on their stash to get things started. A 3GB Simple Choice Plan currently goes for $60 and includes unlimited talk, text & data as well as unlimited music streaming on services like Pandora, iHeartRadio and more that doesn’t count against your 4G LTE data. This is the company’s eighth Uncarrier move designed to undermine the usual business practices from its competitors. So far they’re focused on eliminating typical customer pain points like confusing pricing and long-term contracts. T-Mobile's last Uncarrier event was held a day after the iPhone 6 launch to announce it was expanding its Wi-Fi Calling offering.